Our All Age Worship Service looked at ‘What Is The Church?’. Using the simple words of ‘Up’ ‘In’ and ‘Out’ we as a church found that ‘Up’ meant giving praise to God in worship, ‘In’ meant that we had to grow as a community in fellowship with each other and ‘Out’ meant sharing the Good News outside our church building. 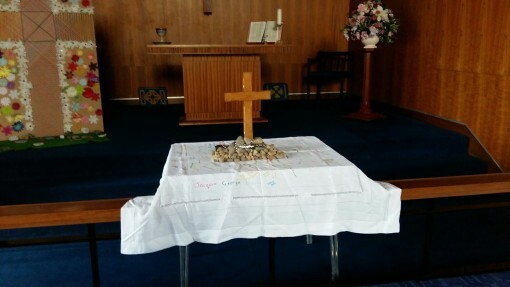 Our young people distributed pebbles to the congregation to remind us all that we are ‘Living Stones’ for Christ.